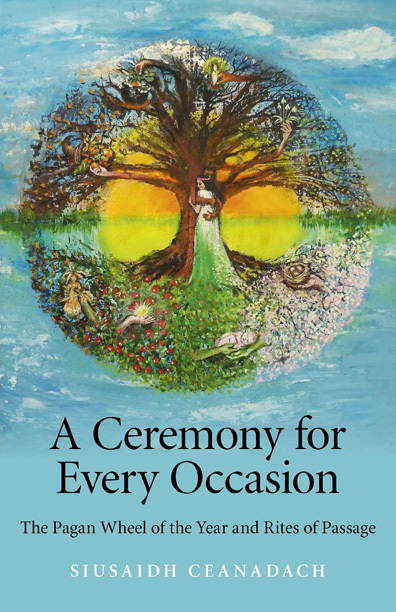 Siusaidh Ceanadach has been Pagan for over 25 years and is a recognised Legal Celebrant with the Pagan Federation in Scotland. That means that she may conduct legally recognised marriage rites (handfasting ceremonies). She also conducts name baby namings and funeral ceremonies. The last part of the book deals with these rites of passage. The first part is about the seasonal festivals. It is written as a guide for Pagans and non-Pagans alike who wish to celebrate the passing of the seasons, the Wheel of the Year. 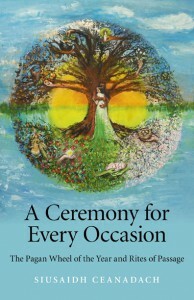 The ceremonies in this book are not designed for specific Pagan groups, such as Wiccans or Druids, but are a mix of Druidcraft, General Pagan, Shamanic and with touches of Heathen. The deity in Scotland is Celtic, from the Tuatha de Danann of Ireland, and Midsummer is in June. Readers can adapt the names to their chosen Deity or a general term such as ‘Lord and Lady’ and you can switch the festivals around to match the Wheel of the Year in your part of the world. A touch of Heathen is for instance the call upon the ancestors, and a Celtic element the call to the Horse, to the Eagle, the Stag and the Salmon. The rituals, some longer and more complex than other, are beautiful and will speak to Pagans of many traditions. Some background is given before every ritual, and there are handy checklists and a list of participants needed, though sometimes one person can double (as one invocating a quarter and as speaker later on).